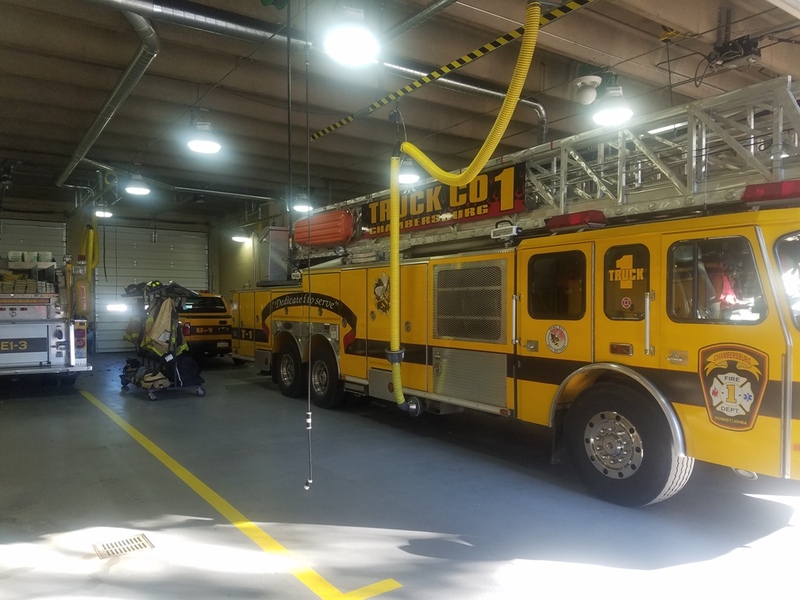 The month of October is always a busy month for the Chambersburg Fire Department as crews spend many hours engaged in Fire Prevention activities. CFD is also focused on its own with cancer prevention at this time. 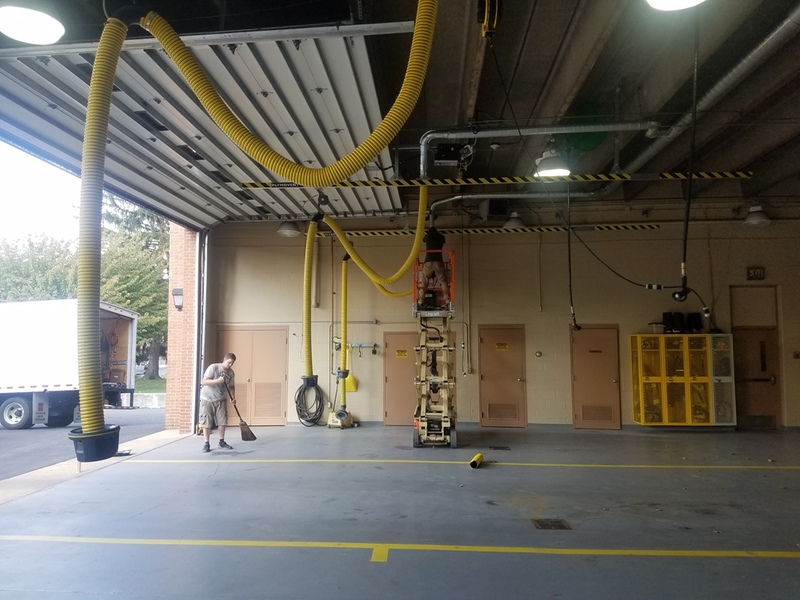 The recent install, at both stations, of an exhaust capture system designed by Plymovent and Air Clean Systems will capture and remove almost 99% of all exhaust to the exterior of the building. This system was part of a FEMA grant that was awarded this year.